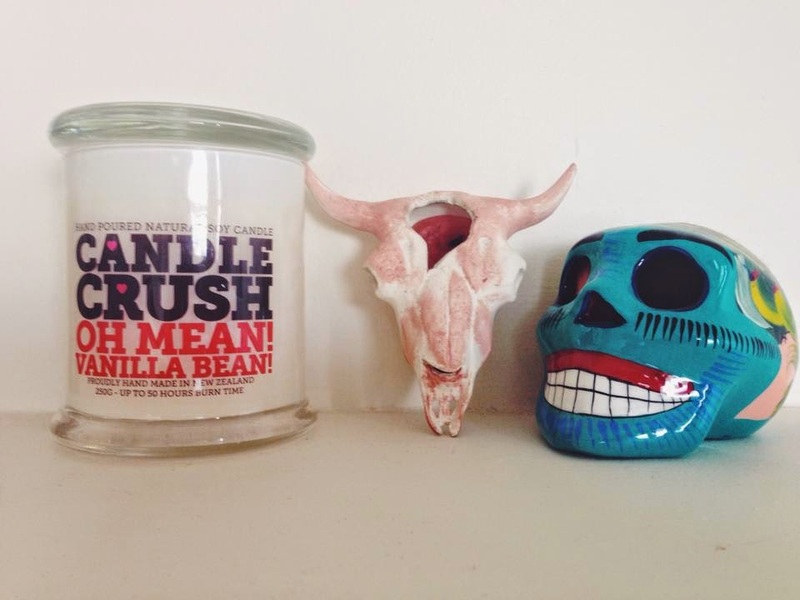 Recently I won a cute wee Candle Crush giveaway from on the lovely Made From Scratch blog and thought I'd share my review with you today. This lovely 'Oh Mean! Vanilla Bean!' candle was my fragrance of choice and I wasn't disappointed!As soon as I bought it home with me, it filled our home with a lovely sweet smell that isn't overbearing but distinctive and plain delicious. The great thing about these soy candles is that they're proudly handmade in New Zealand and smell so good that you almost want to eat them! 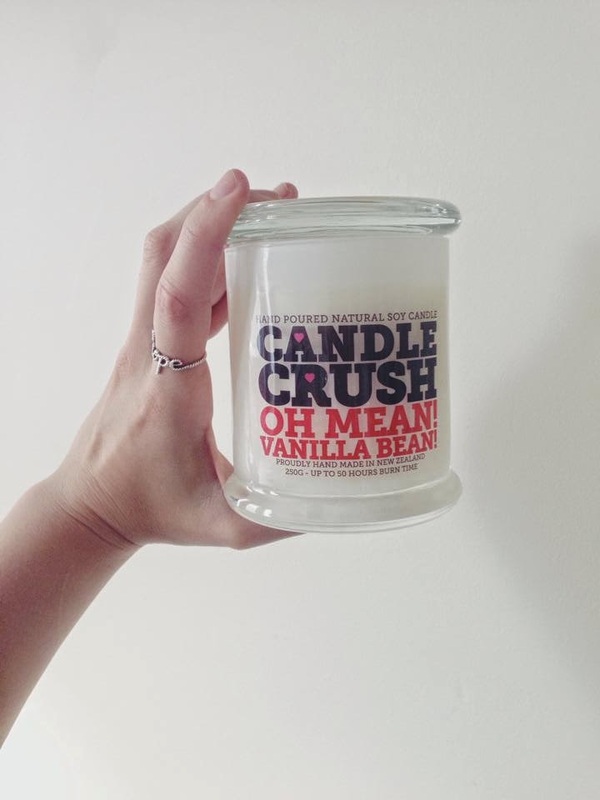 I really like the brands fun,quirky and creative approach to candle making which I feel distinguishes them from the pack from the more serious approaches out there. There are so many flavours on offer so next on the list for me is 'Round and Round The Garden' ...What's yours?